After about eight months in our apartment, I have to say I am very happy with our choice. It wasn’t our first choice, but I have to admit that it was a better choice for us, even if our first choice was absolutely gorgeous. I remember part of the reason it took us such a long time to find a place was that we had a strict list of things we needed in an apartment. One of them was air conditioner. Obviously, we’re in Italy, and Europe, so AC is not the given norm it is in the United States. Still, I don’t know about Jaime, but it really didn’t hit me that our apartment didn’t have an air conditioner until sometime in February when I abruptly woke up one night with the sudden realization (I swear this actually happened). I worried a little, but there wasn’t much we could do about it at that point and Jaime hates it when I complain. Well, now it’s June July and pretty much from one day to the next, summer came in and with it those glorious temperatures that I miss oh so much during the rest of the year. But you can see where I am going with all this…. suffice it to say that yesterday a few weeks back we couldn’t fall asleep because of how damn hot it was. Poor Jaime was so desperate that he almost bought an air conditioner right then and there online before I could reason with him that it was three in the morning and it was not the time to be making those kinds of decisions. That’s the latest with our life right now in Italy. On the other hand, I’ve been MIA again, because well, this tends to happen with me. But I’ve been non-stop busy in preparations for a visit from my brother and sister-in-law. Now that they’re finally here (!!!) I have two days to actually relax and sit in front of a computer (which I haven’t touched in pretty much a month) before our summer travel kicks it up to full gear. 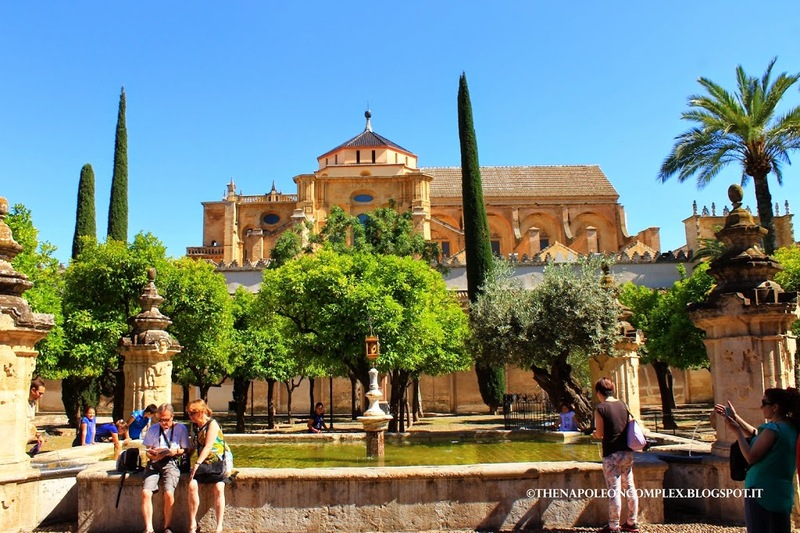 Enough with all my complaints and excuses and let’s take a trip back in time to breezier weather and the amazing sights of Córdoba! 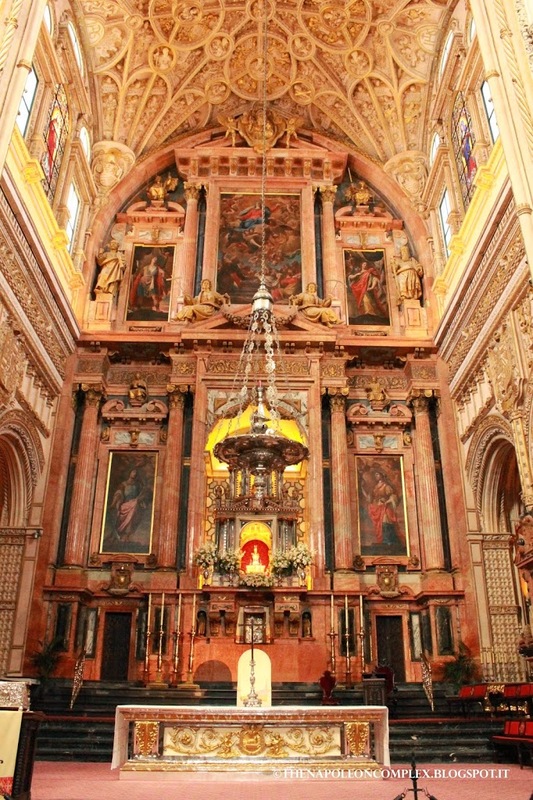 After second breakfast, we headed to the Cathedral. 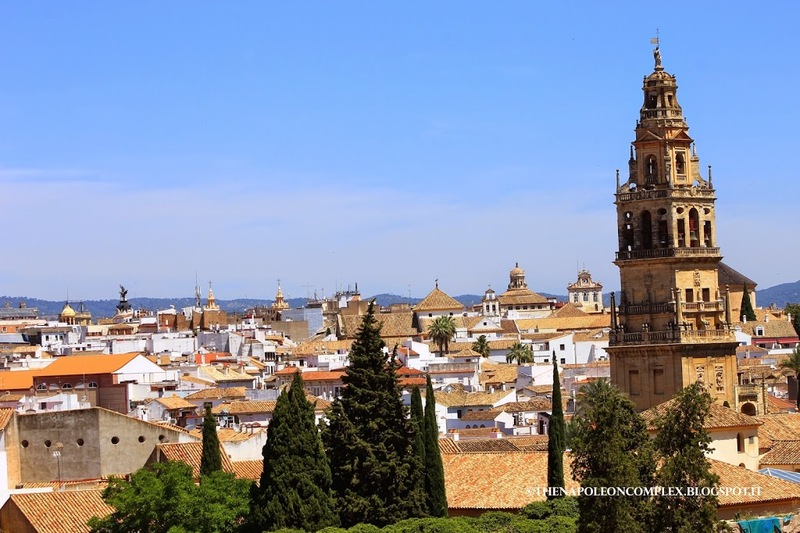 While it’s officially a Cathedral because it is obviously a Catholic church, it is informally called La Mezquita, or the Mosque, because it used to be a Mosque and still holds the architectural quality of a Mosque. 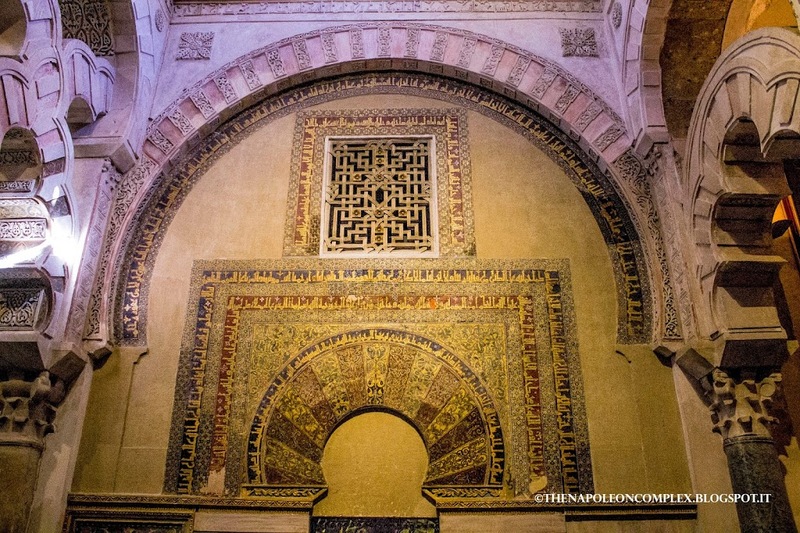 However, before it was a Mosque, it was actually a basilica (this is the kind of history that you can only find in Spain). 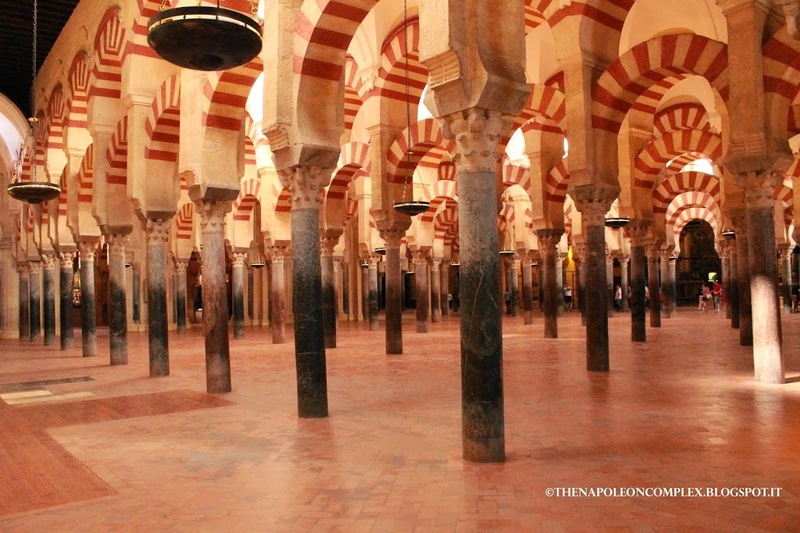 When the Muslims invaded Córdoba, they destroyed the church and began to build a mosque (this was in 785), which would eventually become the most important of Western Islam. Then in 1236, King Ferdinand III (this is not the same Ferdinand that was married to Isabella and sent Christopher Columbus on his voyage, etc. 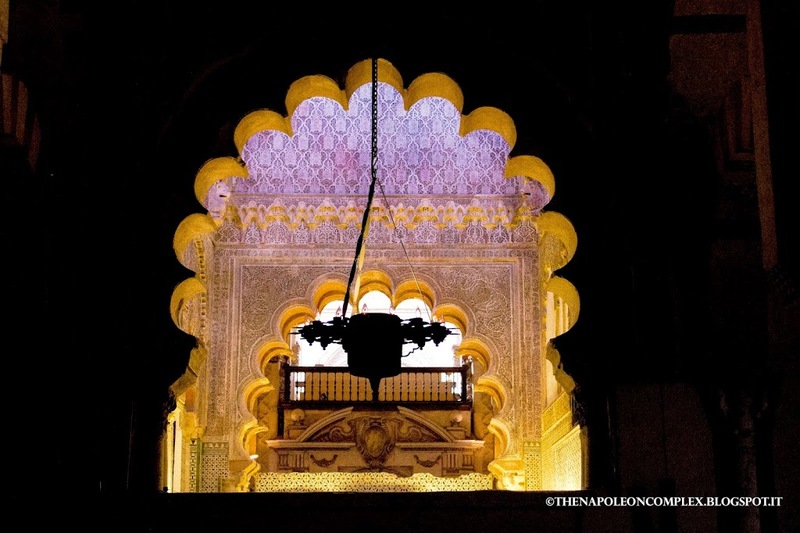 This took place 200 years before his time) reconquered Córdoba and oversaw additions to the Mosque that have the undeniable Christian aspect integrated within the moorish architecture, some examples which you can see below. 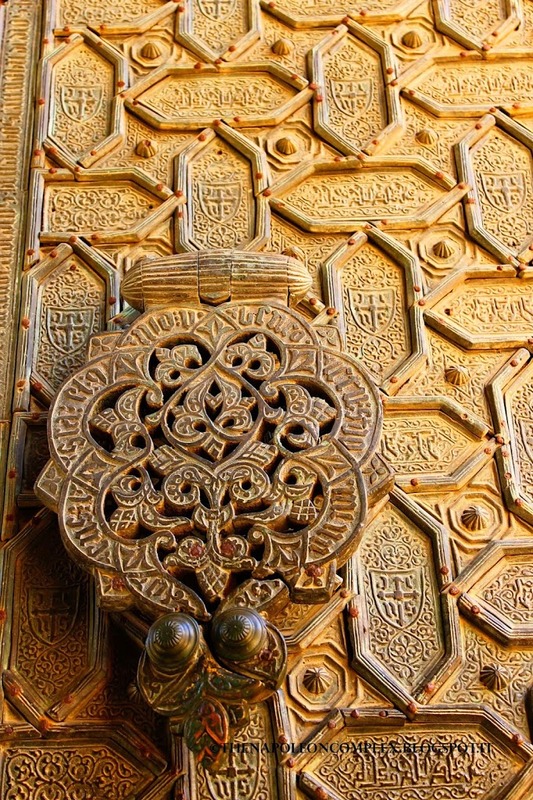 The picture on the left is the detail of the doors, while the picture of the right is the Christian portion of the Mezquita. 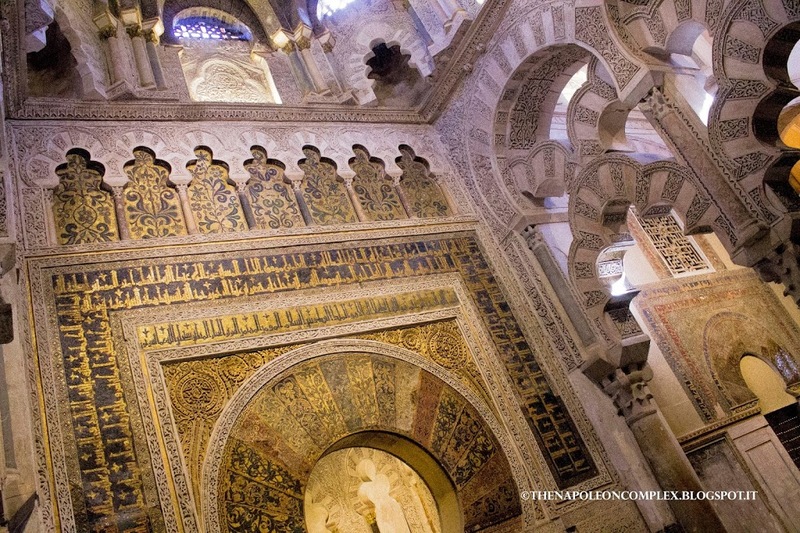 Personally, I love moorish architecture, but to see it intertwined with the Christian and European architecture is truly a wonderful sight. The Cathedral is absolutely beautiful and unique. 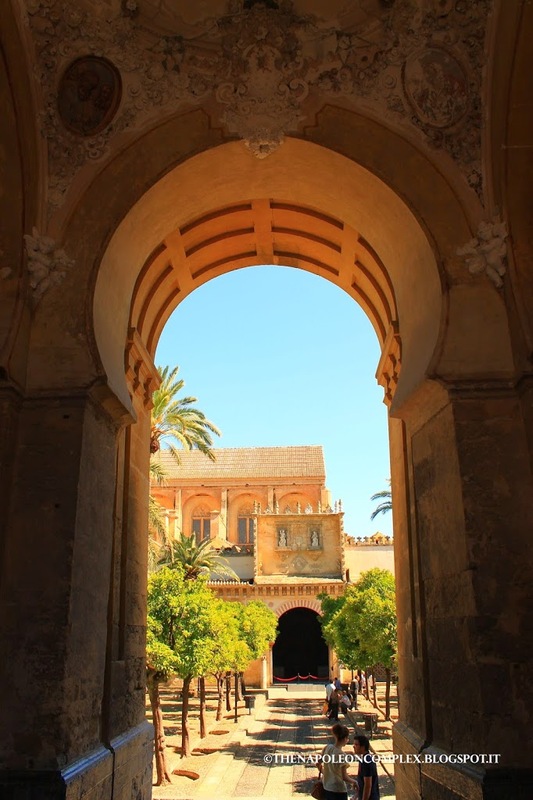 As for the Alcazar, I actually liked the one in Córdoba more than the one in Seville. 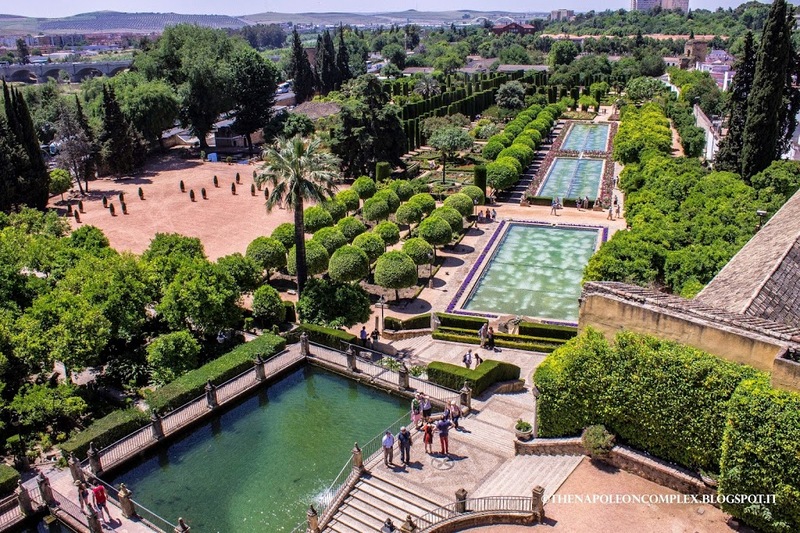 Its official name is El Alcazar de los Reyes Cristianos or The Alcazar of the Cristian Monarchs. It’s had quite a vibrant history. 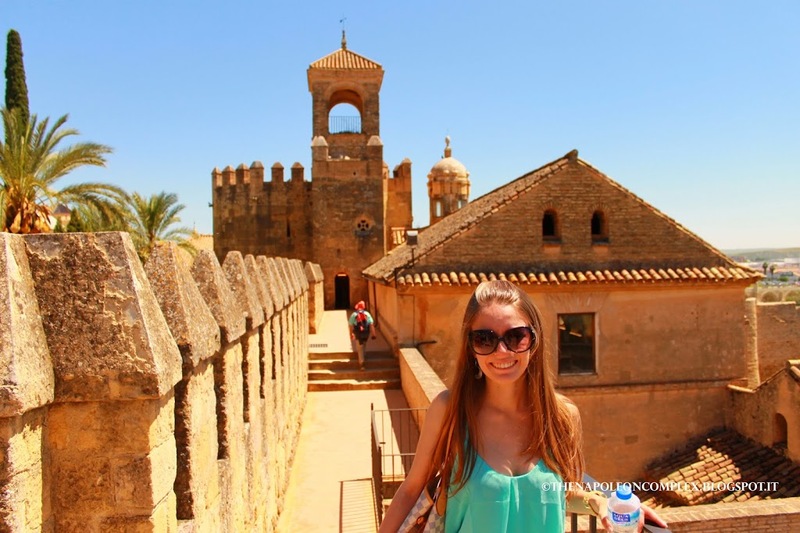 It was taken by the Christians in 1236 during the Reconquista, it was used as headquarters of the Inquisitions and also headquarters against the Moors in Granada. 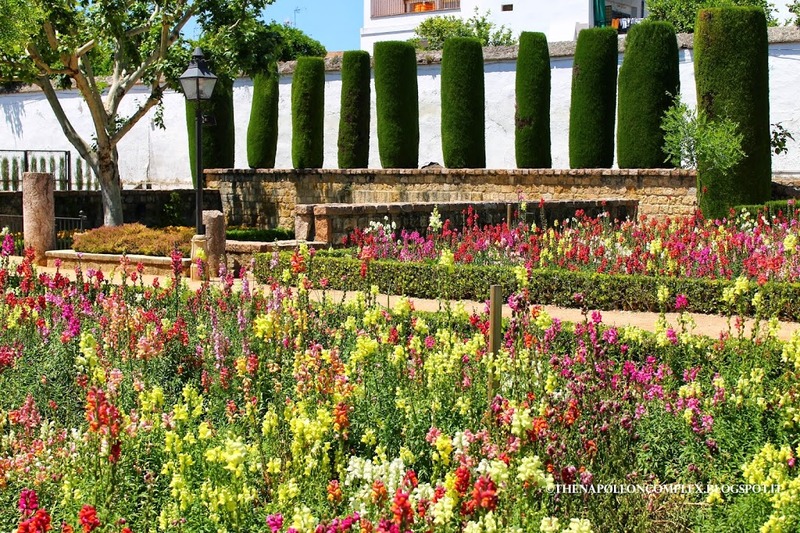 More recently, it was used by Napoleon’s troops as a garrison in 1810. 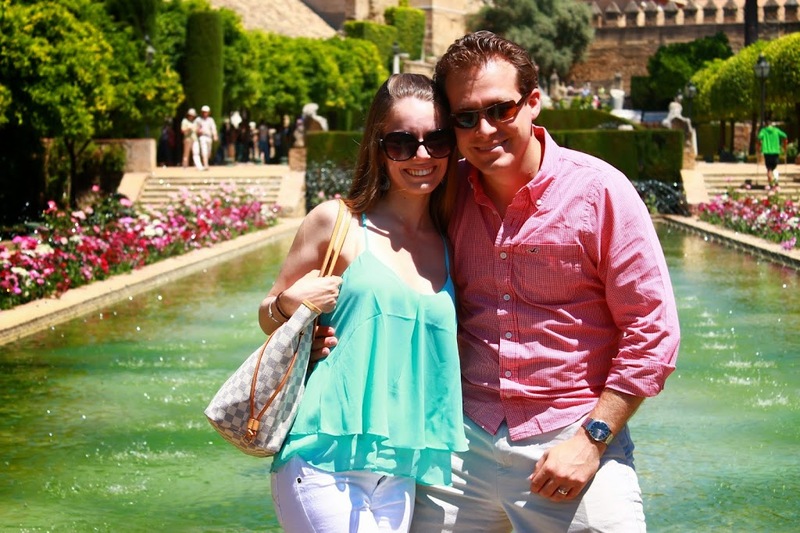 My favorite part was the gardens, which were beautiful and extremely well-kept. 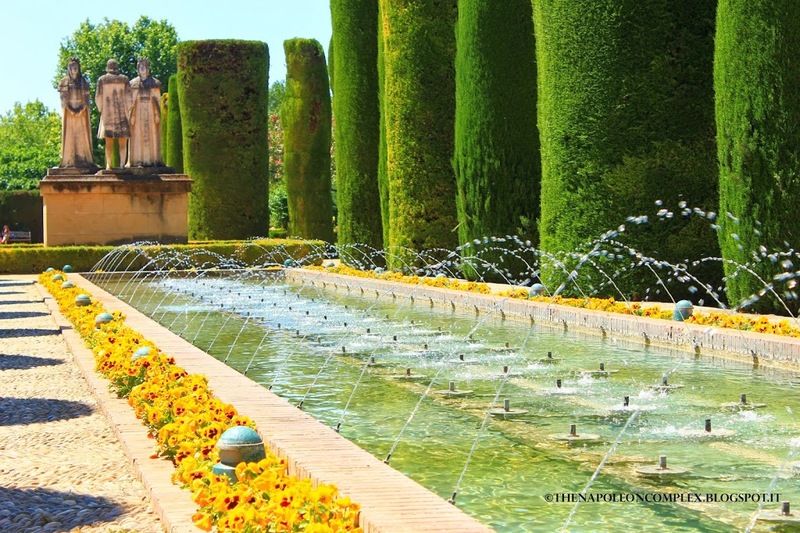 They had fountains, pools, beautiful flowers, and also statues of the Catholic Monarchs and Christopher Columbus, as here was where he asked Isabel and Ferdinand for funds for his journey west. The view from the top of the main tower, which was actually built for the Inquisition, of the city’s beautiful white-washed walls.